Every February and March, a certain area of study takes over basketball — bracketology. 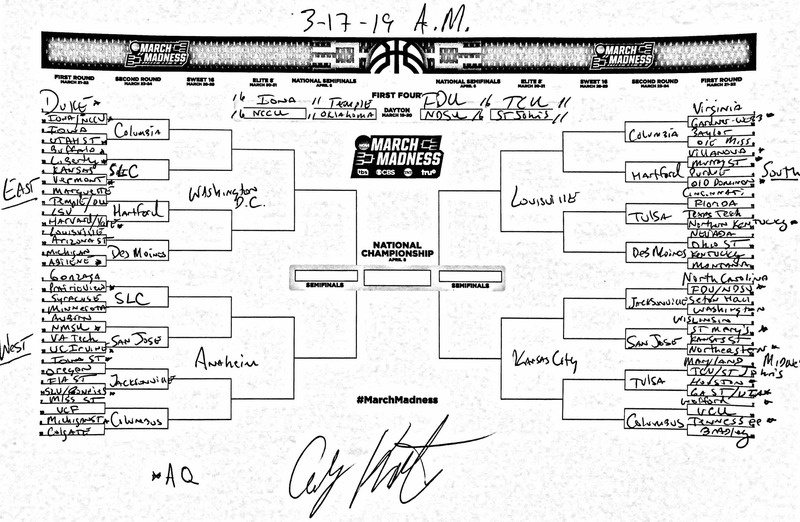 On this page, we'll take a deep dive into bracketology: What it is, what you need to know about the bracket itself, and updating predictions for the entire NCAA tournament field from NCAA.com basketball expert Andy Katz. Bracketology is the practice of predicting the field and seeding for all 68 teams in the NCAA tournament and/or the outcomes for all games in the tournament. It is a made-up "-ology", sadly, so don't change your major just yet. All 68 of these teams are seeded based on their skill level. Seeding is an official ranking compiled by the tournament's Selection Committee — a 10-member group of school and conference administrators responsible for selecting, seeding and bracketing the field. The results of this process are revealed to the public on Selection Sunday, when the full bracket is announced. SELECTION COMMITTEE: What is the committee's role, and who is on it? Every single March Madness game will be broadcast on either TBS, TNT, TruTV or CBS. You can also stream every game on March Madness Live. By filling out a bracket! Our Bracket Challenge Game, the official bracket game of the NCAA, opens immediately after the committee announces the field on Selection Sunday, and you can try your hand at predicting who will win each game of the tournament.